The last addition to our homemade dolls houses is complete. 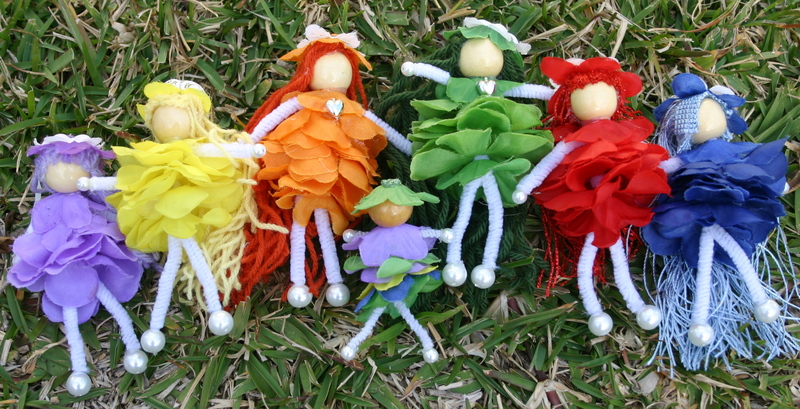 These peg doll style pipe cleaner and bead flower girl dolls are my favourite and were so easy that this whole set took only around an hour to make. 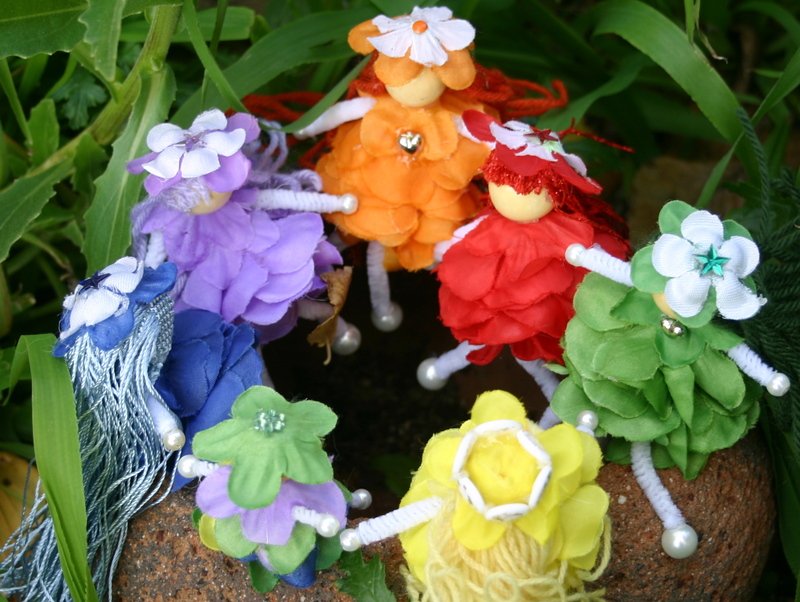 The method is exactly the same as the peg dolls in my previous post, with the only difference being that the flower dress clothes are made from cheap artificial leis. I just cut the string and pulled the flower segments off, sliding them up the pipecleaner bodies and hot glueing them slightly apart from each other to cover the body. Because the pipecleaners are bendy, the girls can make the people sit down in the clothes peg furniture we created or take on any manner of positions and expressions. Combined with the shoebox dolls houses, they make a wonderful travel activity and are great for room time, table time or when you are out and about and need to pack something portable to keep little ones interested.